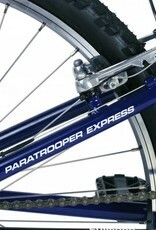 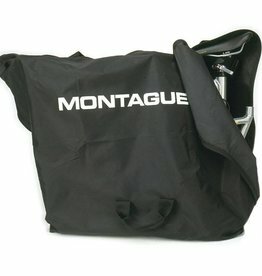 Like all Montagues, the Paratrooper Express is designed to fold and fit anywhere. 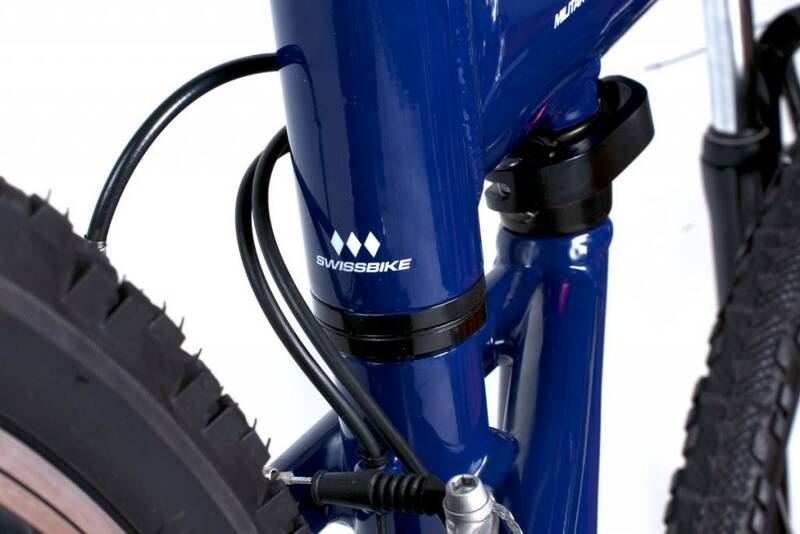 With front suspension and semi-knobby tires, the Express is at home on and off-road. 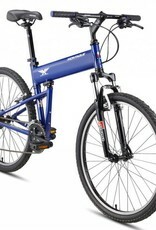 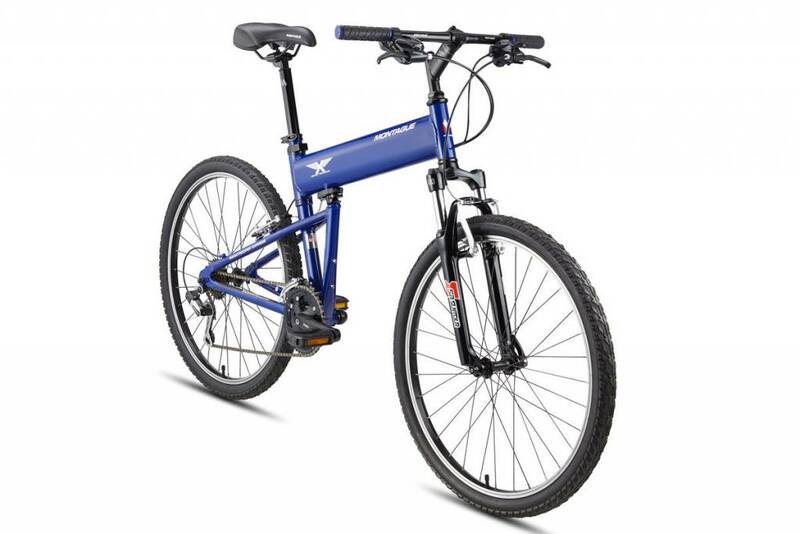 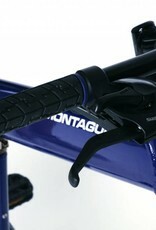 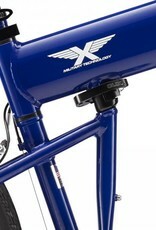 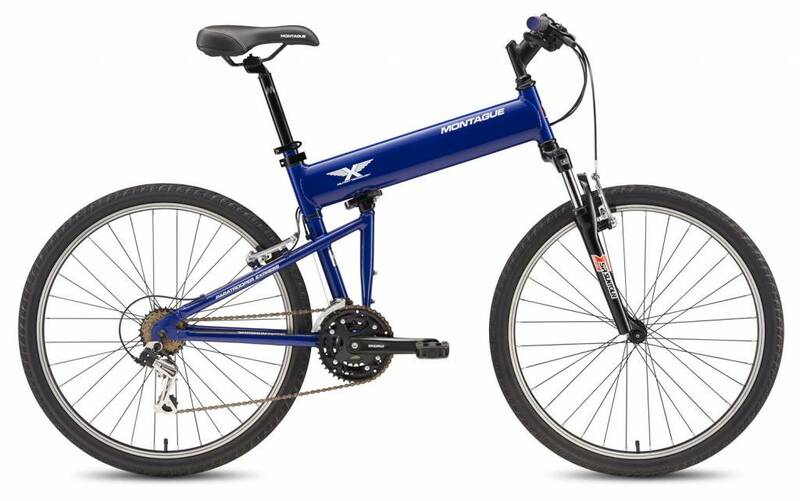 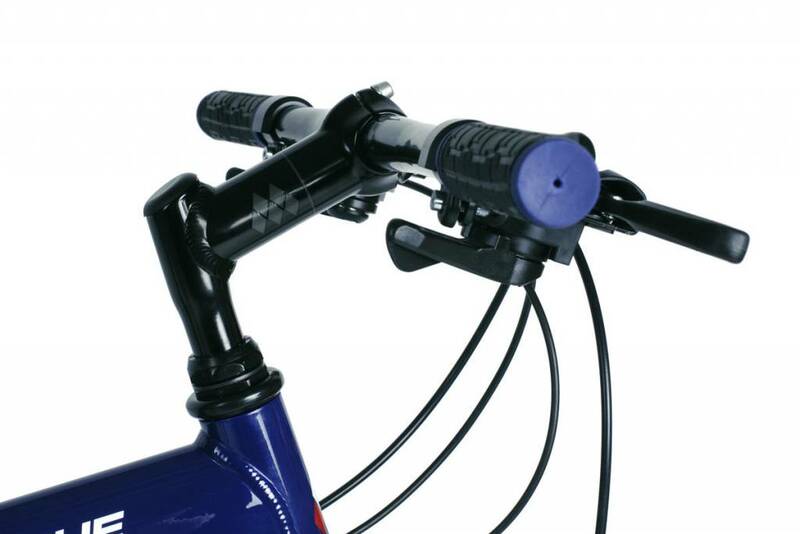 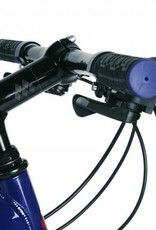 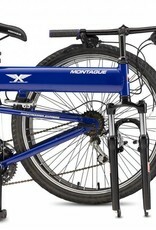 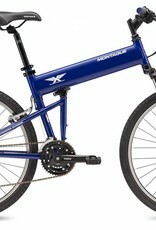 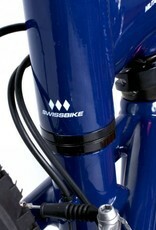 It makes for the perfect light trail bike or rugged commuter. 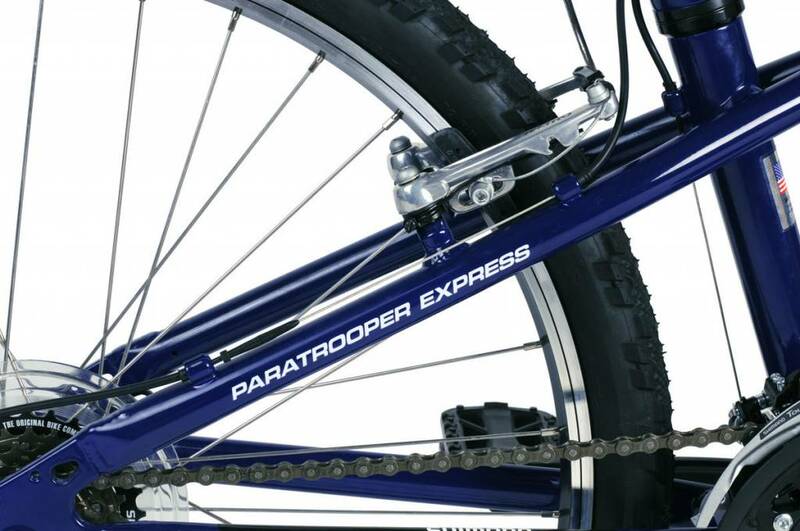 With Shimano derailleurs, Suntour suspension, and Tektro brakes, the Paratrooper Express offers components from the industry’s top manufacturers, carrying on the Swissbike® tradition of performance and portability. 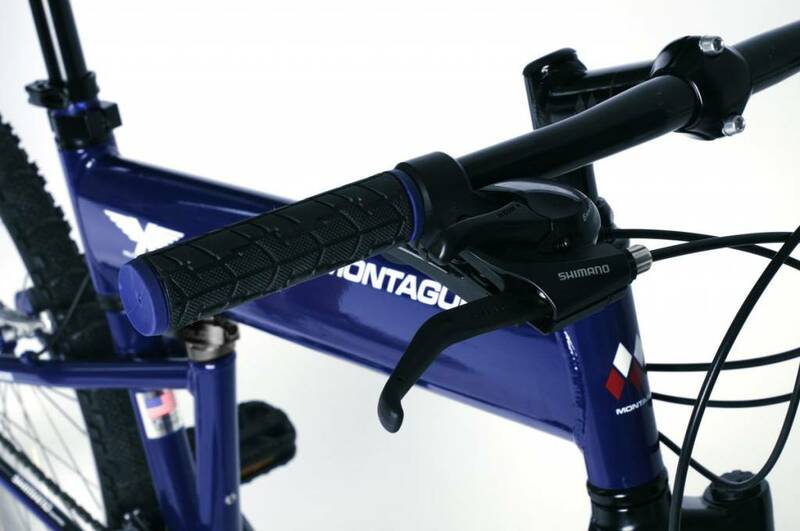 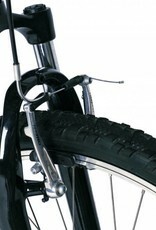 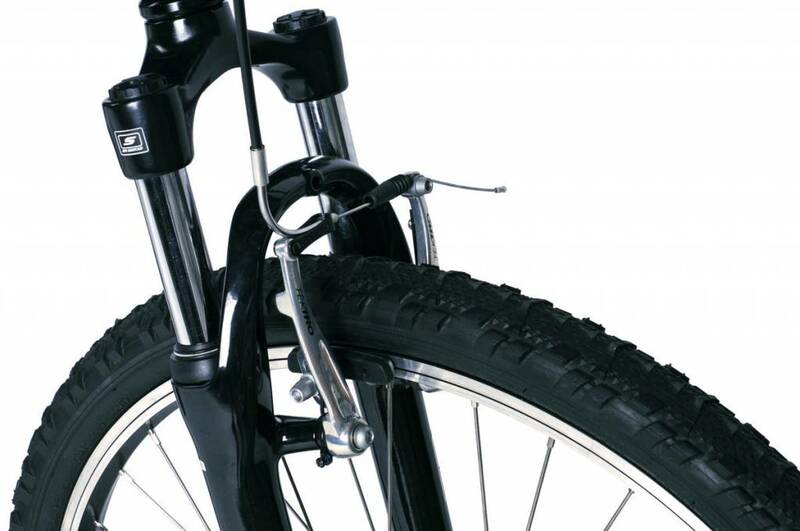 Suspension Fork: An SR Suntour suspension fork provides a smooth ride over bumps, roots and rocks, making the Express suited for on and off-road. 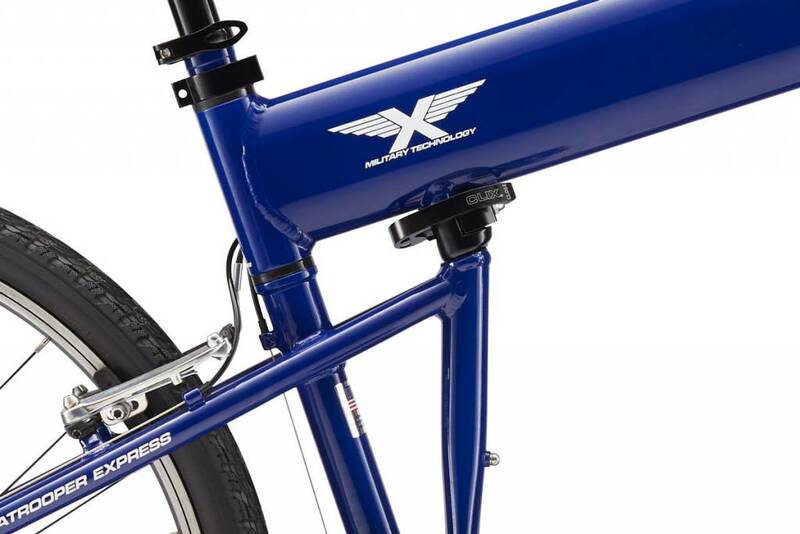 1.95″ Wide Tires: The Express is equipped with multi-sport tires that are wide enough to instill confidence in any rider while being smooth enough for pavement. 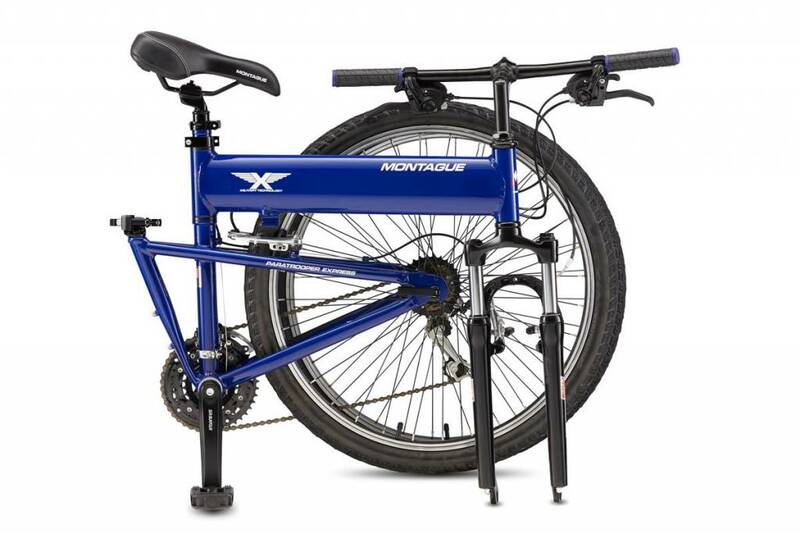 18 Speeds: The Paratrooper Express is equipped with an 18 speed Shimano drivetrain to deliver simple shifting and a range of gears for varied terrain.